Not so much a movie, as a few episodes of a dreadful TV show cobbled together INTO a movie. 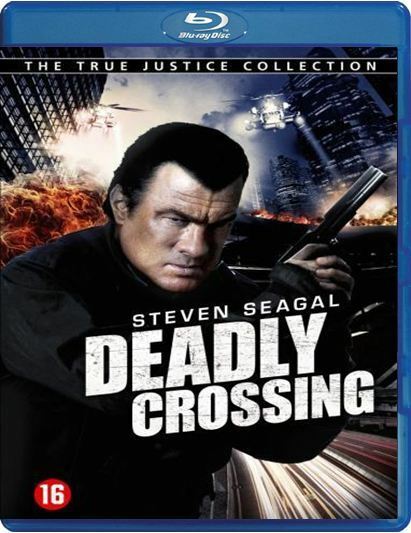 In our quest to watch every Steven Seagal “movie” ever made, we bravely tackle Deadly Crossing. In this, the amazing thespian aikido master tries to master a Cajun accent, and does so very unsuccessfully. And no discussion of a Seagal movie is complete without mentioning his brillo pad hairdo. This is a Canadian-lensed dull police procedural with some of the worst Russian gangster accents ever committed to celluloid. For a $5 Walmart pickup, we can’t complain – too much.